– With it’s Colourful Fiestas and Easy Going Outlook on Life. Welcome to The Little Spanish Grater Plate and a taste of Spain!, where the colours are vibrant and the taste of the Mediterranean is exquisite and world-renowned. 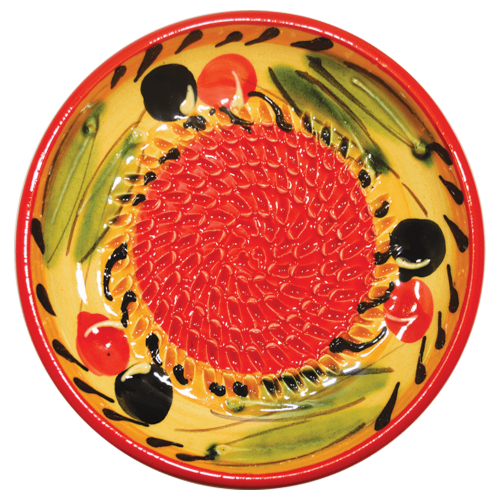 The Little Spanish Grater Plate aims to bring this Mediterranean flavour into your kitchen with the richness of traditional handcrafts from deep within the famous Andalusia Artisanal region. 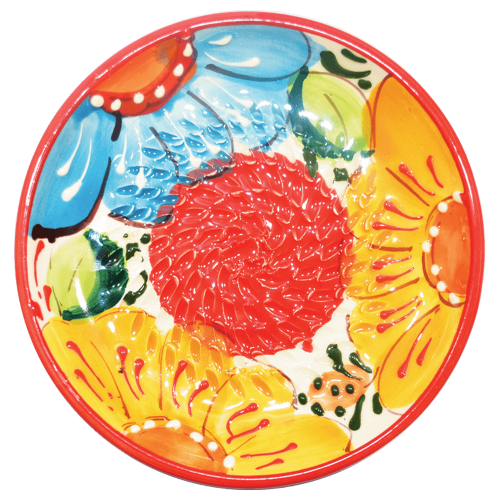 Dating back to the 11th century, the Little Spanish Grater Plate is a traditional tool, each one hand turned by a master craftsman and painted by Spanish artisans. 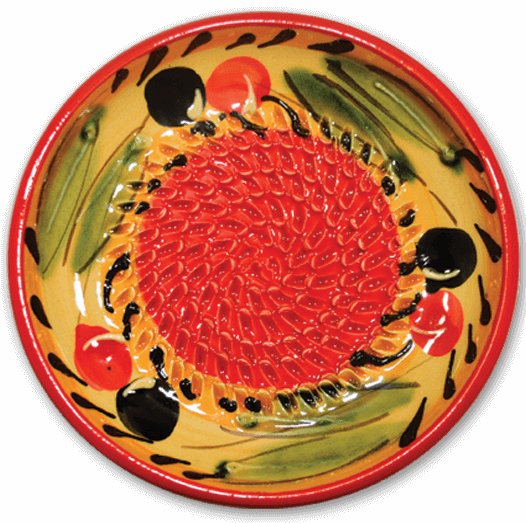 This makes no two pieces alike, as each piece carries an imprint of the craftsmen, bringing a taste of Spain and the Mediterranean into your own kitchen. Not only are they authentic, beautiful works of art, but very functional tools for today’s modern kitchen. All of our ceramics are triple glazed ensuring the highest quality. This makes our ceramics very versatile – dishwasher, microwave and ovenproof – the Spanish colour and traditional Mediterranean way of cooking is at your feet. With this lovely range of ceramics, we have something to suit everyone’s taste. My mission is to give people the means to experience the colours and flavours of Spain and the Mediterranean, in their own kitchen. I get great joy in offering a product that is high quality, hand made and unique in colour and style. I have a vision that through each handcrafted piece, the history, passion and culture of Spain and the Mediterranean lifestyle will spread and be touched by the world. 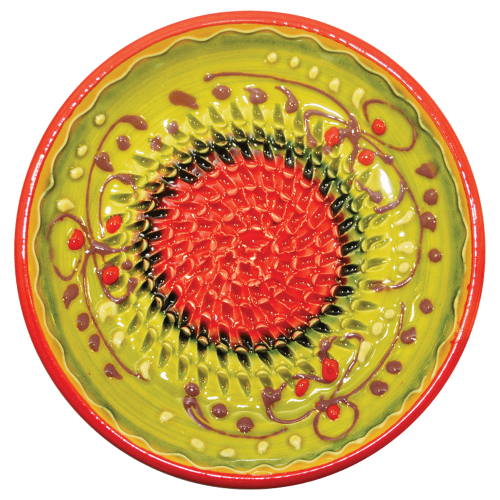 My passion leads me to find amazing unique products that you will use with love to create your own masterpiece in your kitchen. 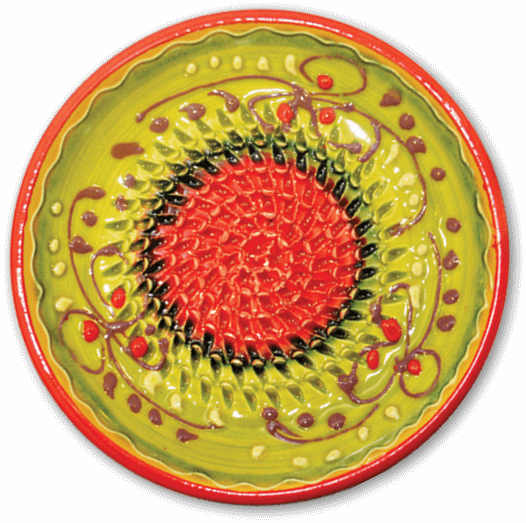 There is truly a unique story behind each of these beautiful Spanish ceramics.